The Humanity Photo Awards (HPA) is a biennial photography contest focusing on folklore cultures, including portrait & costume, architecture, living custom, production & commerce, festivities and traditional rites. It is free to enter! to contribute to the World Folklore Photo Museum with world-wide cultural records. Just before the Christmas holiday, there have been a total number of 900 participants registered in HPA 2017, domestic and international wise. 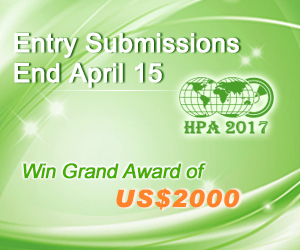 Apart from your participation, don’t forget to spread the word to your friends through your social media page and let more people around the world know about HPA 2017.